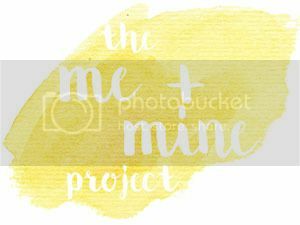 Woohoo, this is my 12th Me and Mine post! I can’t believe I’ve managed to write one every month for a whole year, I feel really proud of myself! Some months it has been literally the only thing I’ve written, especially when I was in the first trimester and blogging was literally the last thing I wanted to do. June has been a strange sort of month. My May update was late because my father-in-law died at the end of May. This meant that the first few weeks of June were spent staying at his house in Yorkshire making arrangements and trying to sort things out in his house. As I’m sure you can imagine, it’s been a really tough time for our family, especially for my husband. I started my maternity leave at the start of June. It was brought forward slightly as I needed to be with my husband so I never got the card and presents that my colleagues had arranged for me; people only found out it was my last day a couple of hours before I finished work! I won’t be going back until next May, which sounds like such a long time but I remember how fast my maternity leave went last time and I know it will be gone in the blink of an eye again. But I’m determined to enjoy my time with my babies and not worry about the things I worried about last time (mainly sleep!). Our weeks since we’ve been back have been filled with getting things ready for the baby. I’m starting to feel a bit more organised but I’m hoping baby’s not early as I’m sure I’m going to need the whole of the next three weeks to finish getting things ready. I wanted these last few weeks with little T being my only child to be filled with fun, but extreme tiredness and, more recently, worsening pelvic girdle pain is making me far from the fun Mum I envisaged. I was hoping to get our Me and Mine picture in the garden this month but unfortunately the British ‘summer’ had other plans. So instead we took a picture last night as we were putting little T to bed. I actually really love this picture as we were all pulling silly faces right up until the picture took, when little T changed to a cute little smile leaving me and S looking silly! It also seems quite appropriate that it’s on little T’s bed as one of the big changes this month has been moving him out of our room into his big boy bed. As it’s my 12th month of Me and Mine pictures, and possibly our last Me and Mine as a family of three(! ), I thought I’d include my year’s worth of family portraits in this post. It’s been quite a year. There’s been lots of ups and a few downs. I love how little T is always in the middle of the pictures- he really is the centre of our world. I’m excited for what the next year will bring.